Last September, Russia claimed to have killed the Islamic State’s Minister of War with a bunker-buster airstrike in Deir ez-Zor, Syria. This kind of leadership decapitation is a common strategy in counterinsurgency – the logic that targeting leaders can disorganize and weaken insurgent groups is sound on face, and is in no small part why 45% of counterinsurgency campaigns have pursued decapitation . What makes this decapitation unique is who IS’s Minister of War was at the time – Gulmurod Khalimov, a Soviet-born Tajik . Khalimov was a known name in Central Asian security. During a distinguished career as the head of Tajikistan’s OMON (a USSR-era police force now spanning Russia and some other post-Soviet republics), Khalimov was trained in five counterinsurgency courses by the United States Department of State, and suppressed Islamist factions and rebels during Tajikistan’s post-Civil War insurgency. Khalimov’s case may seem curious – what was a US-trained, mainstream, security apparatchik from a country so remote doing at the helm of the Islamic State’s military operations? However, the Center for Strategic and International Studies estimates that Khalimov is only one of nearly nine thousand individuals from Russia and Central Asia that have “traveled to join a host of Salafi-jihadi factions—most predominantly the Islamic State in Iraq and al Sham (ISIS).” Tajikistan – Khalimov’s home country – is the largest exporter of IS’s foreign suicide bombers, with 63% more than the next largest country (Saudi Arabia). Over 1,500 Uzbeks, 360 Turkmens, 500 Kyrgyz, 400 Kazakhs, 1,000 Tajiks, and between 5 and 7 thousand Russians are not just fighting in the Middle East but are among the ranks of the Islamic State . These numbers are not the product of mere coincidence. Through a combination both of shortsighted and poorly executed counterinsurgency strategies and of the denial of a political niche to Islamist parties and leaders, Russia and Central Asia have predictably driven experienced insurgents to a foreign conflict that those states are now mired in, particularly Russia. Those states will face severe consequences if their institutions do not change by the time their insurgents abroad return home. There are two common traits shared among Central Asian former Soviet republics and Russia that could explain this growth in and flight of insurgents. The first – those nations have deep histories of repressing and stifling both peaceful and insurgent Islamist political movements, often violently. Jeremy Gunn, professor at Emory, writes that Islam has been a critical cultural force in Central Asia since shortly after Mohammed’s death in the mid-seventh century, and that for 1,200 years afterwards, the “mosques of Bukhara, Samarkand, Khiva, and other cities, towns, and villages were the dominant forces shaping the culture and social identity of the people” . The atheism of the Soviet Union suppressed Muslim cultural centers as spheres for education, discussion, and politics in Central Asia, such that “70 years of Soviet rule, the Islamic mosques and madrasas that had previously thrived in Central Asia were closed, destroyed, of converted into museums or factories.” Gunn finds, even, that only one madrasa in the entire Soviet Union remained operational by 1989, in Bukhara, Uzbekistan. Thus, in the Soviet Union, perestroika, Mikhail Gorbachev’s introduction of decentralizing and market-economizing reforms, was characterized by a flourishing in the national identities of the USSR’s component states and, according to Kathleen Collins of the University of Minnesota, nationalism in the form of a “broad resurgence in Islamic identity and Islamist activism” in Central Asia and the south Caucasus . As different republics in the USSR took on stronger autonomy and identity, they reverted from the Soviet atheism to the theist politics and culture that had governed them for millennia before. Gunn explains that “being a ‘Muslim’ is widely understood as constituting an integral part of the identity of the majority of Central Asia’s population,” and Collins furthers that the number of “youth whose interest in learning about Islam and reidentifying as Muslims has surged in the post-Soviet era, after decades of religious repression.” Six of seven former Soviet Republics, she finds, have experienced some forms of political Islamist activism. So, what prevented this post-Soviet renaissance for sociopolitical Islamist movements from lasting? Gunn argues that, shortly after the proliferation of Islamist political movements, heads of state of Central Asian countries, often holdovers from the USSR’s Communist Party, “agree[d] that Islamist propaganda and actions pose a serious threat to their regimes, and have undertaken their own to shape a new ‘official’ Islam… and to suppress Islamism.” Broadly, he finds that Central Asian governments have largely returned to the Soviet religious doctrine, though their heads of state have at least personally (if nominally) embraced Islam; “each state follows, albeit to varying degrees, a modified Soviet model of state regulation of religion.” Central Asian nations have constitutions that separate church and state, but nevertheless all have Committees on Religious Affairs that neutrally limit religious expression, require registries of religious groups, bar Islamist parties, and promote an “official” doctrine of Islam that, while in some states (e.g. Uzbekistan) seeks to reconstruct old mosques and madrasas, is aligned with the interests of the state. Ultimately, a combination of both reactionary adherence to Soviet methods of suppressing religion by Central Asian governments, and a realization that the resurgence of Islamism provided the state with another avenue of influence and control, led to the re-repression of public expression of Islam. For example, Julia Ioffe at the Atlantic observed that in his home country of Uzbekistan, Sayfullo Saipov (who drove a pickup truck into a Lower Manhattan bike path this Winter,) would have been barred from growing his characteristic long beard . For some states, like Uzbekistan, the emergence of some violent movements among the broader resurgence of Islam served as a justification for this repression. The Islamic Movement of Uzbekistan (IMU) for example, which aligned with the Islamic State in 2014, emerged after the collapse of the Soviet Union, and despite serious defeats during American campaigns in and near Afghanistan in 2002 remained a bogeyman for then-Uzbek President Islam Karimov to justify further repression of religious politics . The Andijan Massacre stands as a prime example of this; on May 13, 2005, Karimov’s government cracked down on tens of thousands of peaceful political protestors in Andijan’s Babur Square, killing over 1,000 of them while claiming only 187 casualties (and saying most of the dead had IMU affiliations, and were known jihadis – this claim has been proven untrue by third-party NGOs) . Even peaceful Islamist groups are treated and perceived this way in Central Asia – Hizb ut-Tahrir al-Islami (HT), a pan-Islamist party active in Uzbekistan, Kyrgyzstan, Tajikistan, and Kazakhstan, for example, that has tens of thousands of members in each of the above countries, is frequently targeted by the states in which they are active . Collins, noting that HT is the “most numerous opposition Islamist group in Central Asia” and frequently engages in peaceful protest, finds nonetheless that thousands of HT members are often jailed (and in Uzbekistan, even constitute the majority of religious prisoners), that Central Asian governments have pursued extrajudicial killings against prominent HT sympathizers, and that those governments are engaged in wide-ranging propaganda campaigns against the party. HT is simply the most numerous of many movements in Central Asia facing conditions like it and even more moderate. Repressive tactics do little to quell terrorism, particularly in these regions, and only either exacerbate it as a political reaction to repression or drive it to kindred communities abroad or underground. Ioffe notes that in Central Asia, “Islamist extremism is often a stand-in for anti-authoritarianism and discontent with the violence and corruption of [the political establishment]” – extremism is a political reaction. Dana Abizaid of the National Interest furthers that the outlawing of often peaceful political Islamist movements has “forced many young Central Asians into the arms of radicals… despite the fact that resistance in the name of Islam has proved to have had less to do with religion and more with hopelessness, despair and anger generated from oppressive and incompetent rule” . Rather than a logical outgrowth of their politics, extremist movements are instead a proxy for opposition politics that are impossible to engage with in the mainstream, public, political sphere in Central Asia. This is coherent with a common premise in insurgency studies – when the goals of a group are impossible to achieve through mainstream politics, as they are in the repressive environment of Central Asia, and that group is aggressively marginalized by powers both foreign and domestic, that group is likelier to turn towards extralegal opposition and terrorism as strategies. Lars-Erik Cederman of ETH Zurich states it plainly – “groups that are excluded from state power or underrepresented in government are much more likely to challenge the regime’s insiders through violent means” . Repression also operates in a cyclical way. As Thomas Lynch of the National Defense University argues, “the threat from jihadist returnees does exist, [but] it has been exaggerated by the Central Asian governments… playing on the population’s fear to legitimate… repressive measures” . Repression drives militants out of Central Asia and into conflicts abroad; the risks therein are then used to justify further repression, which in turn drives more militants to the Middle East who will later return, and so forth. After the repression of Islam, a second relevant common trait among Central Asian nations and Russia is a poor and shortsighted counterterrorism strategy. Russia stands as the best example of this, pursuing arguably one of the worst attempts at a decisive counterinsurgency ever, circa 2013 and 2014. A Reuters investigative report by Maria Tsvetkova details in precise terms how Russia aided and abetted the travel of known insurgents to Iraq and Syria . During the leadup to the Winter Olympics in Sochi, a city in Russia’s historically unstable Caucasus, Russia’s Federal Security Service (FSB) was deeply fearful of an attack on the competition – Russia had gone as far as to prepare to deploy 100,000 soldiers, vet and credential every spectator, and comb Sochi for unauthorized residents and terror suspects. Such threats were credible – Tsvetkova wrote that Islamist insurgents posted their intentions to attack Sochi online, and Brian Jenkins of RAND points to eight major attacks in Russia since 2003, perpetrated largely by Dagestani, Chechnyan, and North Caucasian forces, that would raise reasonable concerns . But faced with little time between when those threats became credible and the time of the Olympics, the FSB was short on options. With local branches of the FSB near Sochi increasingly pressured by federal authorities to decisively drive out Caucasian insurgents, they settled on an expedient solution that would exploit mutual interests of insurgents and local security forces. Tsvetkova found that local FSB leaders would meet known radicals in the region and agree not to prosecute them so long as they left the country, with their departure facilitated by the FSB, who would buy their plane tickets and issue them new passports. The Center for Strategic and International Studies found that this phenomenon was not unique to Russia’s federal FSB – local officials in autonomous regions throughout the North Caucasus pursued this strategy. “Allowing militants to leave Russia was convenient for both radicals and the authorities,” Tsvetkova writes; “in the mainly Muslim North Caucasus region, the two sides had fought themselves to a stalemate” as insurgents’ efforts for a sovereign Muslim state fell short. Caucasian militants had an interest in amnesty and in continuing their insurgency elsewhere, and the local FSB bureaus had an interest in keeping the Olympics free of an attack. Of the nearly 3,000 Russians fighting in Middle Eastern insurgencies, Tsvetkova cites government data that over 90% of them left in mid-2013, after local FSB bureaus began pursuing this mutual-benefit counterinsurgency. This gives some insight into why terrorism in Central Asia is so seldom domestic – intense recruiting of insurgents by foreign groups, simmering political and religious tensions, and violent repression, coupled with security strategies more concerned with getting insurgents out of their home countries than with stopping them or accommodating them, creates a perfect storm that blows insurgents to conflicts in the Middle East. Central Asia faces two main risks from this exodus; the first is that eventually, once its fighters are finished in Syria, they will return. The thousands of fighters who local security forces allowed to leave Central Asia and the Caucasus will, by the conclusion of conflict in Iraq and Syria, have had experience not only as part of a sophisticated militant network in the Islamic State, but will have had experience in leadership as well. Khalimov is not the only example; the CSIS finds that the Islamic State actually prioritizes Caucasians, Central Asians, and Russian speakers for higher-ranking positions. They have significant clout as recruiters for those regions, have reputations as disciplined fighters and experienced insurgents both in civil wars, as in Tajikistan, and conflicts against Russian security forces, as in Dagestan and the Caucasus. But what makes this return especially dangerous is not that these fighters will pursue insurgent tactics in their home countries when they return. Lynch argues that even as of mid 2016, a time when the Islamic State’s territory in Syria and especially in Iraq was all but reclaimed, “there [was] little evidence of Central Asian fighters returning in significant numbers, and even less that those who have returned are organized for jihad… many are likely to have been killed in Syria.” Decapitation has taken out leaders like Khalimov, and infantrymen on the Islamic State’s front lines are unlikely to have the organizational acumen to wage a truly dangerous insurgency (if many of them even manage to return). Lynch follows that the only country with a credible insurgency threat is Tajikistan, which shares a border with Afghanistan; violence along that border, however, is a result of narcotrafficking and low-level crime, though the Tajik government argues that extremism is involved. What makes the return of insurgents risky, thus, is the risks to good governance it poses. Lynch points, for example, to Kyrgyzstan, where a miniscule threat of returning insurgents is used as “justification to crack down on political and religious opposition leaders” despite the nation’s recent significant progress in democratic reforms. The same phenomena are observed across former Soviet regions overhyping threats of returning insurgents. The true risk is not a domestic terrorist attack – it is another Andijan, another massacre of opposition and protestors under the guise of protecting against the threat of returning insurgents. The second problem is that the environment those fighters are coming home to will be characterized by the same institutions and politics that drove them to the Middle East in the first place. Insurgents will be coming home to an environment that will, if not drive them back, drive further insurgency. Several options exist for Central Asian nations to strengthen their politics, promote inclusivity, and chip away at the root causes of insurgency, in this case, exclusion from mainstream politics and religious repression. First among them is to promote a more religiously tolerant polity – to offer a chance for Central Asia’s post-Soviet peaceful Islamic resurgence to thrive again, and offer people whose identities and interests are historically intertwined with Islam an opportunity to engage with religious institutions of their choosing (rather than the state’s choosing) as centers of culture, politics, and education. This also means the cessation of promoting only “official Islam,” and stopping the closure of independent cultural institutions. Second, these nations should begin incorporating formerly barred Islamist parties that advocate their doctrine peacefully back into mainstream politics. Preventing engagement with peaceful Islamic opposition parties, especially when, as in the case of HBT, those parties have significant membership, forces them to extralegal means for their political voices to be heard and encourages them to associate true political opposition with extremist tactics. Violent parties like the IMU spring forth from this suppression as well, and as Afghanistan is pursuing with the Taliban, those parties could be encouraged to engage in a more peaceful politics if their legitimate political interests are heard in mainstream politics. Finally, other nations, and in particular the United States, should resist violent or military counterinsurgency tactics, particularly against movements that can be construed as having legitimate political justifications; instead, they can play a valuable role in promoting the good governance required for the earlier two options, supporting term limits for Central Asian dictators, mitigating corruption, and integrating rebels back into government, as Colombia has done with Fuerzas Armadas Revolucionarias de Colombia and as Afghanistan is seeking to do with the Taliban. This crisis has brought Central Asia a clear sign that its politics have deep and fundamental exclusions, and should alert its nations of the dire consequences they may face should they not attempt to shape more inclusive public spheres. Johnston, Patrick. “The Effectiveness of Leadership Decapitation in Counterinsurgency.” Center for International Security and Cooperation, Stanford University. 2010. Accessed February 27, 2018. https://cisac.fsi.stanford.edu/sites/default/files/evnts/media/Johnston_-_Decapitation_(CISAC).pdf. “Russia claims it killed IS ‘minister of war’ in Syria.” The Times of Israel. September 8, 2018. Accessed February 27, 2018. https://www.timesofisrael.com/russia-claims-killing-of-is-minister-of-war-in-syria/. Sanderson, Thomas . “RUSSIAN-SPEAKING FOREIGN FIGHTERS IN IRAQ AND SYRIA – Assessing the Threat from (and to) Russia and Central Asia.” Center for Strategic and International Studies. December 2017. Accessed February 27, 2018. https://csis-prod.s3.amazonaws.com/s3fs-public/publication/180122RussianSpeakingForeignFight_web.pdf?LykbSt9xPi89yGJ5JR5LgLrdkHRMGAg0. Collins, Kathleen. 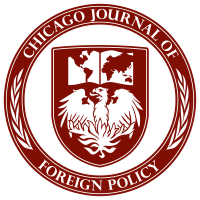 “Ideas, Networks, and Islamist Movements: Evidence from Central Asia and the Caucasus.” World Politics 60, no. 1 (2007): 64–96. doi:10.1353/wp.0.0002. Ioffe, Julia. “Why Does Uzbekistan Export So Many Terrorists?” The Atlantic. November 01, 2017. Accessed February 27, 2018. https://www.theatlantic.com/international/archive/2017/11/uzbekistan-terrorism-new-york-sayfullo-saipov/544649/. Abizaid, Dana E., Daniel R. DePetris, James Jay Carafano, and Francesco Galietti. “Why ISIS Recruits from Uzbekistan and Kyrgyzstan.” The National Interest. January 16, 2017. Accessed March 01, 2018. http://nationalinterest.org/feature/why-isis-recruits-uzbekistan-kyrgyzstan-19067. Abizaid, Dana. “Uzbekistan’s Forgotten Uprising.” RadioFreeEurope/RadioLiberty. March 23, 2011. Accessed March 01, 2018. https://www.rferl.org/a/commentary_uzbekistan_uprising/2346431.html. Lynch, Thomas F., III. “The Return of Foreign Fighters to Central Asia: Implications for U.S. Counterterrorism Policy.” Institute for National Strategic Studies. October 2016. Accessed February 27, 2018. http://inss.ndu.edu/Portals/68/Documents/stratperspective/inss/Strategic-Perspectives-21.pdf. “TAJIKISTAN AND AFGHANISTAN.” Institute for the Study of War. 2018. Accessed February 27, 2018. http://www.understandingwar.org/tajikistan-and-afghanistan. Pape, Robert A. “It’s the Occupation, Stupid.” Foreign Policy. October 18, 2010. Accessed February 27, 2018. http://foreignpolicy.com/2010/10/18/its-the-occupation-stupid/. Tsvetkova, Maria. “How Russia allowed homegrown radicals to go and fight in Syria.” Reuters. May 13, 2016. Accessed March 01, 2018. https://www.reuters.com/investigates/special-report/russia-militants/. Jenkins, Brian Michael. “The Terrorist Threat to the Sochi Olympics.” RAND Corporation. January 31, 2014. Accessed February 27, 2018. https://www.rand.org/blog/2014/01/the-terrorist-threat-to-the-sochi-olympics.html.